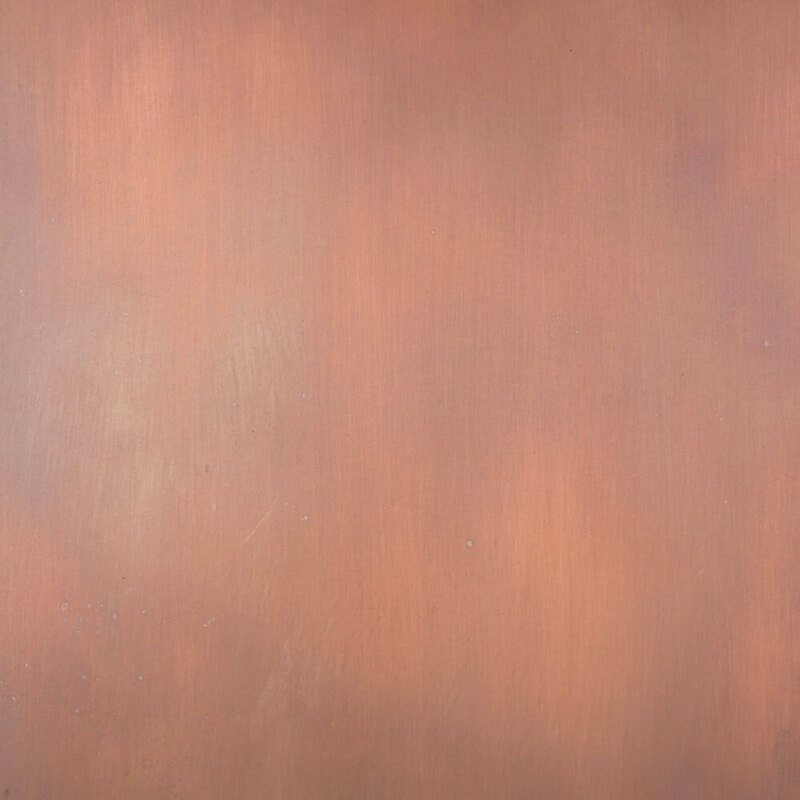 This page is designated for those do-it-yourselfers who love our Custom Copper Products, but are much more budget minded. If you are willing to do a lot of the work yourself, you can save a lot of money. 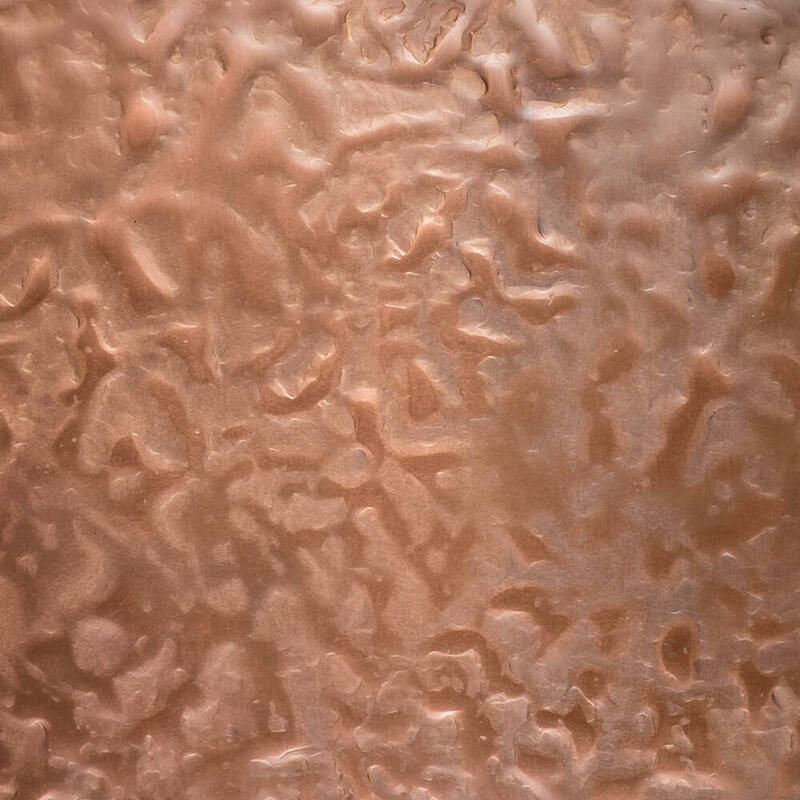 You can find many blogs and videos online showing how to make your own copper products. 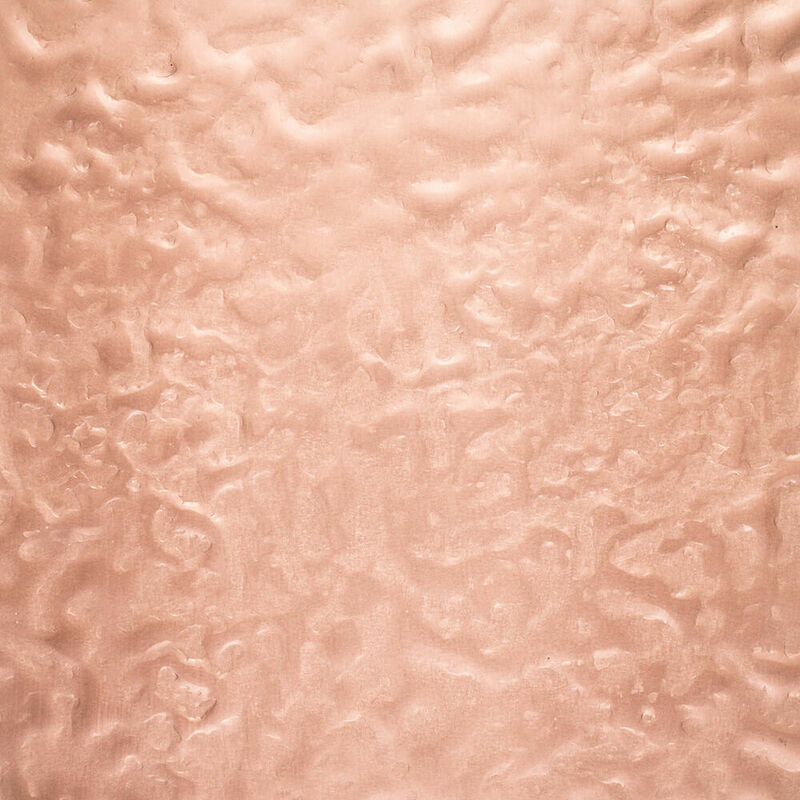 All you need from us is the coppper sheet or sheets, and you can make your own! 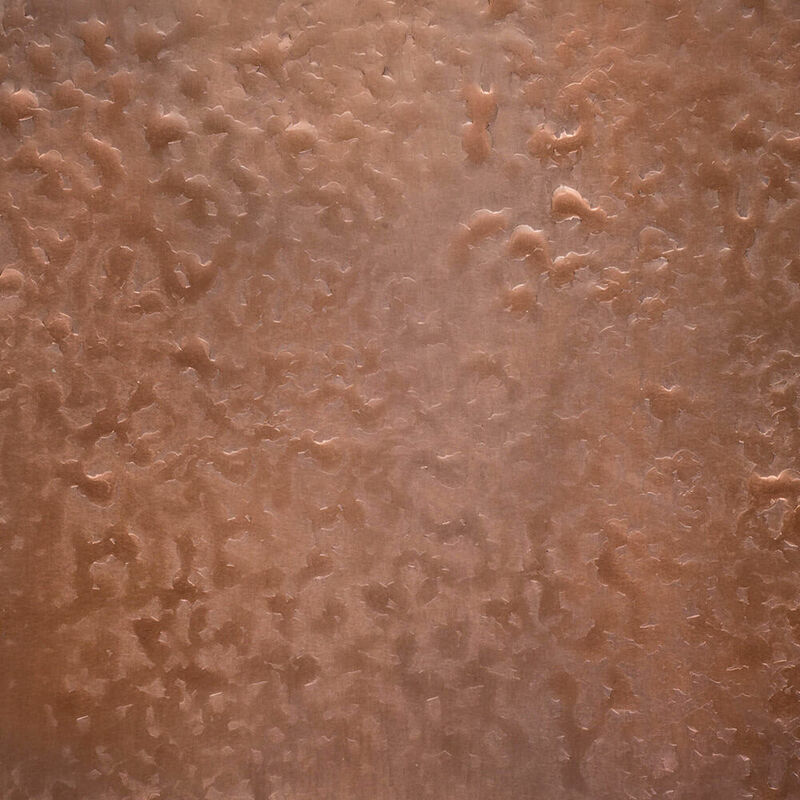 A copper backsplash can also give your kitchen a warm, rustic appearance. 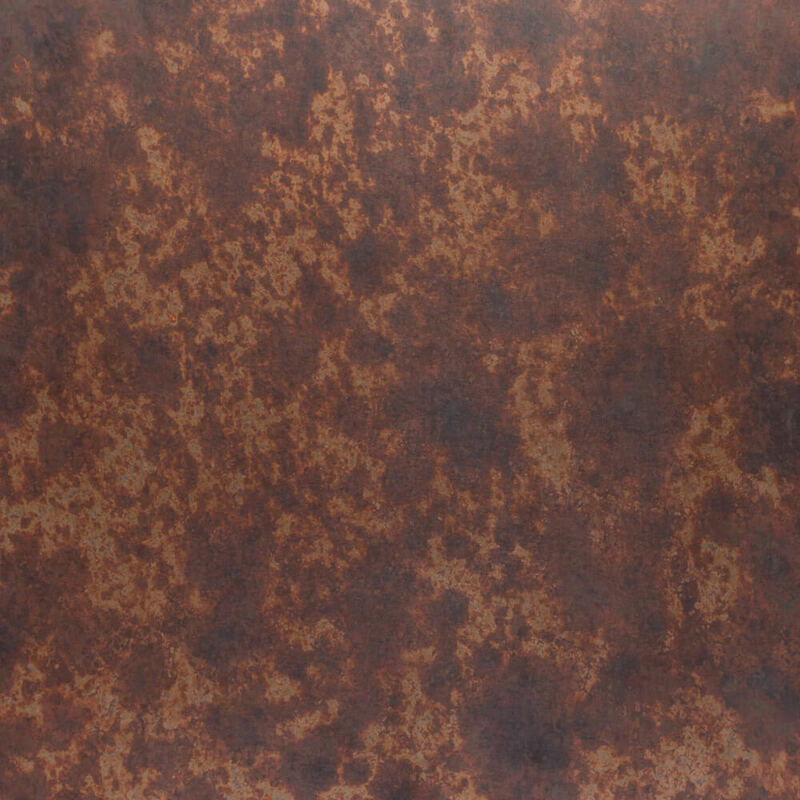 You can buy our Custom Copper Sheets and build your own Countertop, Rangehood, or Backsplash. 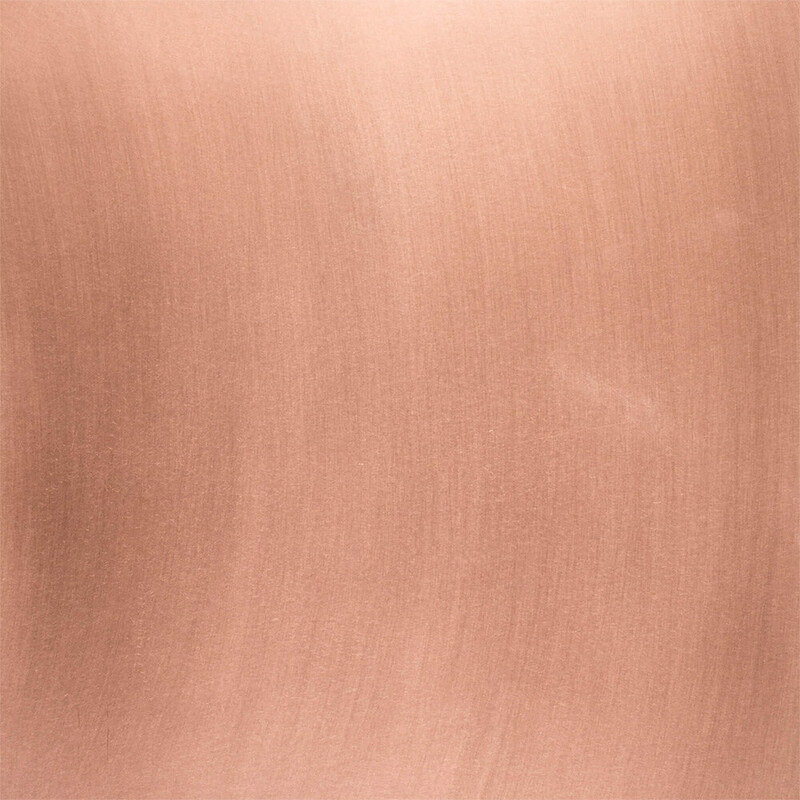 You can choose hammered or smooth copper and any of our patina’s applied to our backsplash sheeting. We use 20oz. 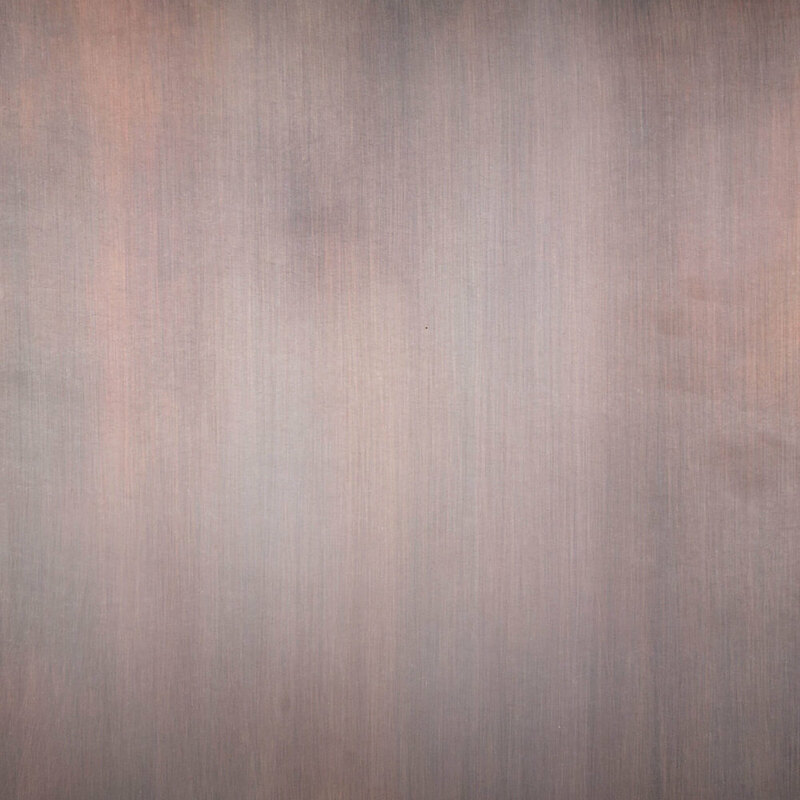 (.027 thick, 22 gauge) pure copper, and do not recommend anything thinner. Other companies will sell 36 ga. copper which is similar to foil in thickness. 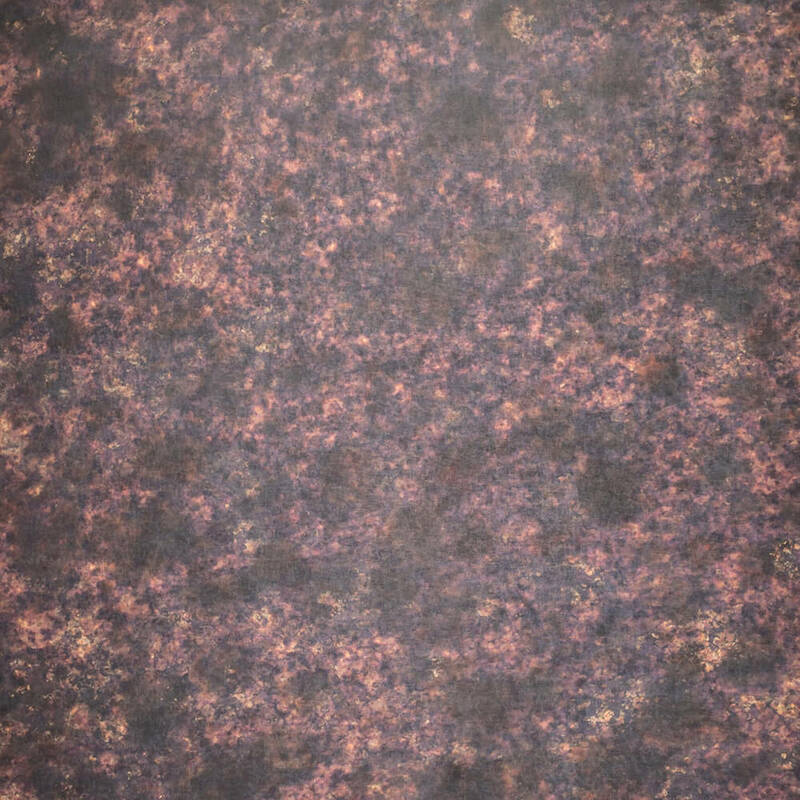 Some also sell a heavier gauge of copper that is 24 ga. or 16 oz., which is still thinner than the 20 oz. 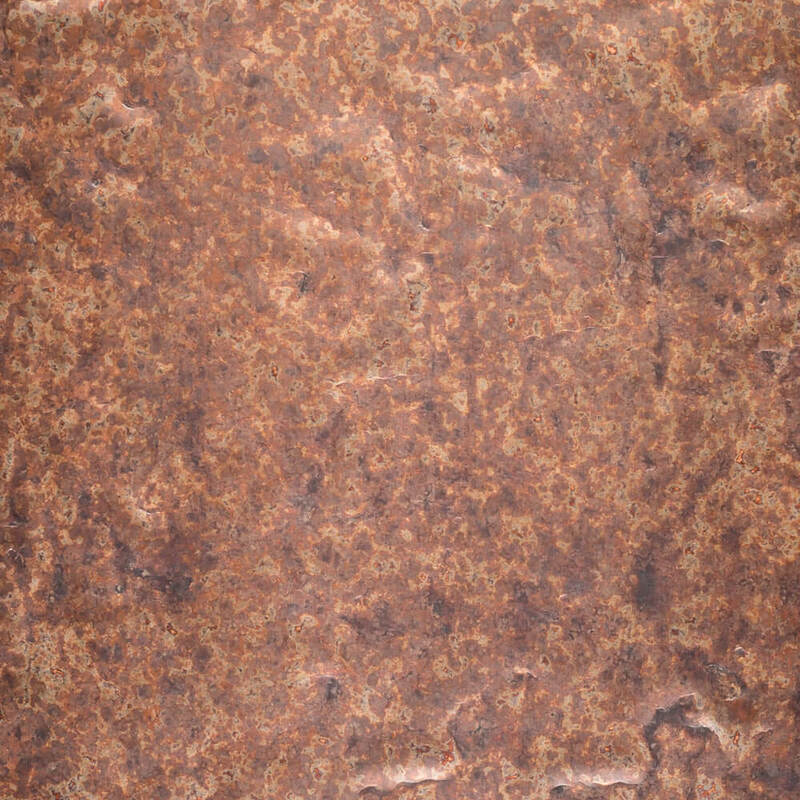 copper sheets that we offer. The 20 oz. is still hand bendable (although more difficult) and you can still cut the sheet with a pair of hand snips. The 20 oz. will not create dimples, "smiley faces", dimples, etc. while handling them as easily, as the thinner sheets do. *We can cut your sheet(s) to any sizes you wish, however we only offer a full sheet price. 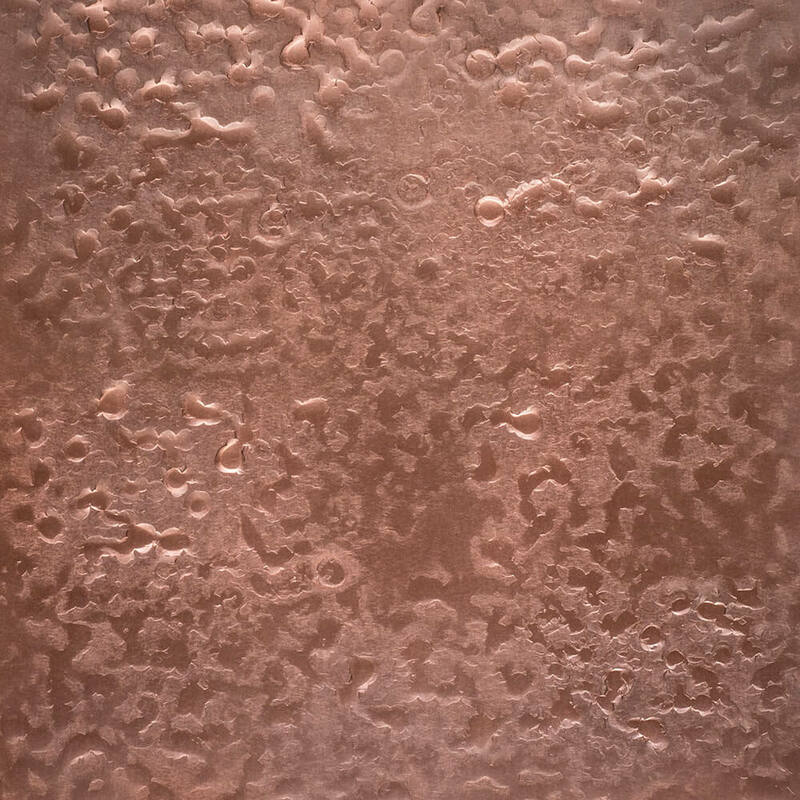 Bare, unfinished copper with patterns. 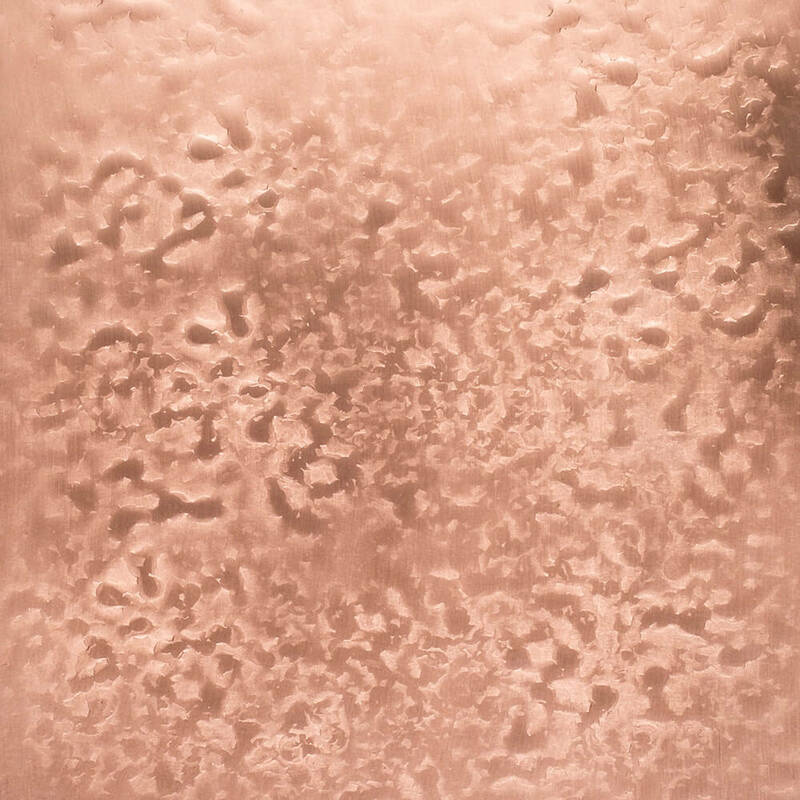 These are for the do-it-yourselfers who would prefer to buy a pattern sheet, and provide your own finish and/or allow the copper to "live" and change and oxidize on its own over time. 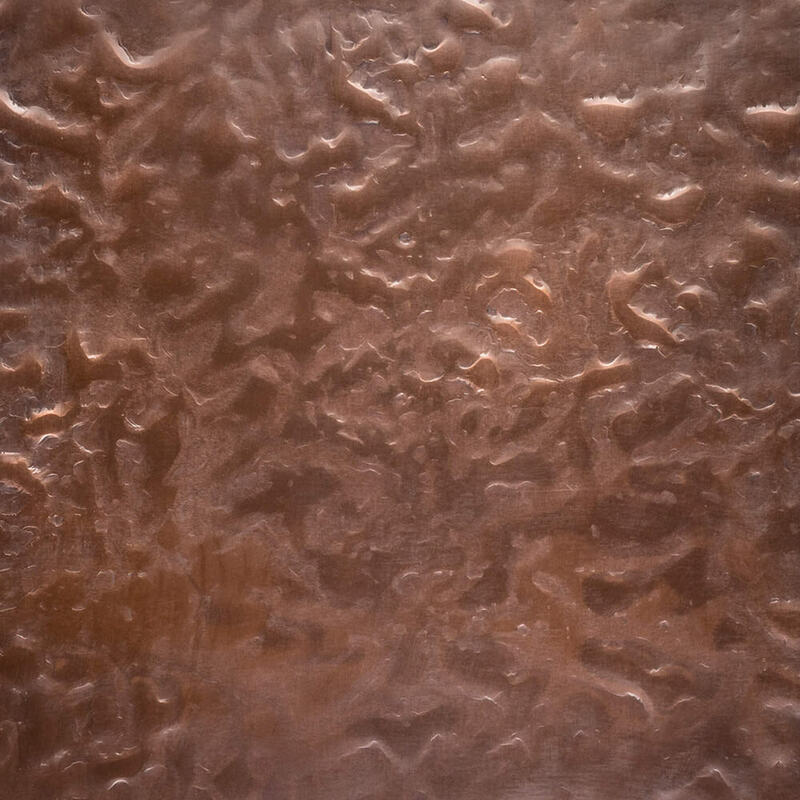 These unfinished patterns are raw copper, direct from the copper mill, and will be the shiny untouched copper sheets. 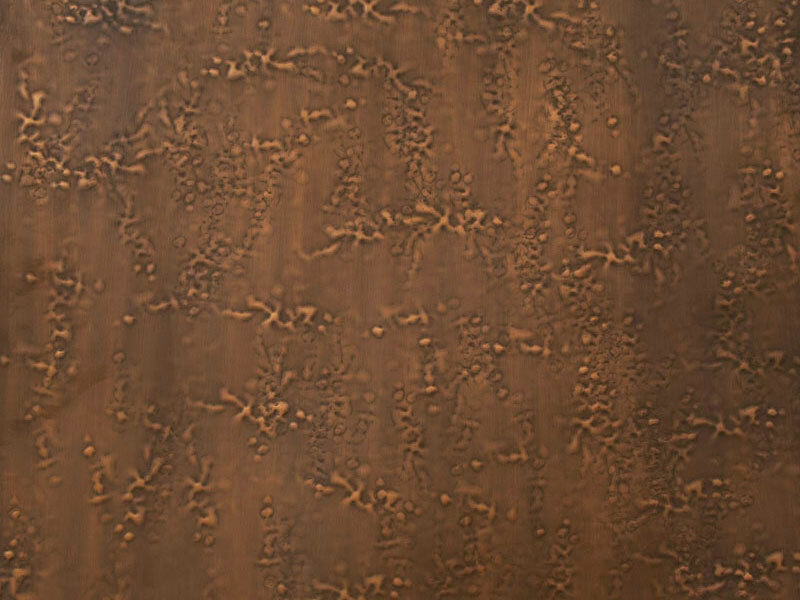 However, when we hammer the patterns into the sheets, some small scratches will occur as we slide them around while hammering them. 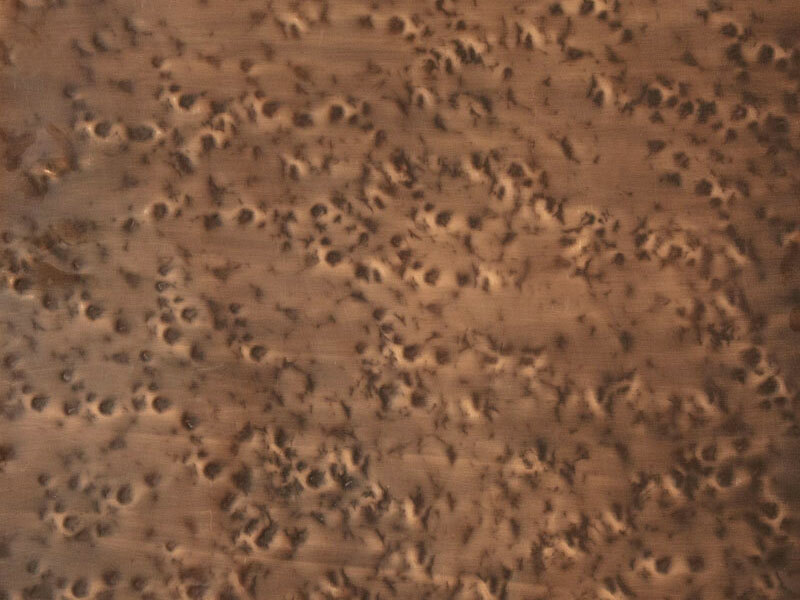 No wax nor sealer is applied, and fingerprints can and will occur when you touch these with your bare hands. If you want to keep them "untouched", use clean gloves. You can always "polish" up these unfinished copper pieces with copper or brass cleaners, if desired. 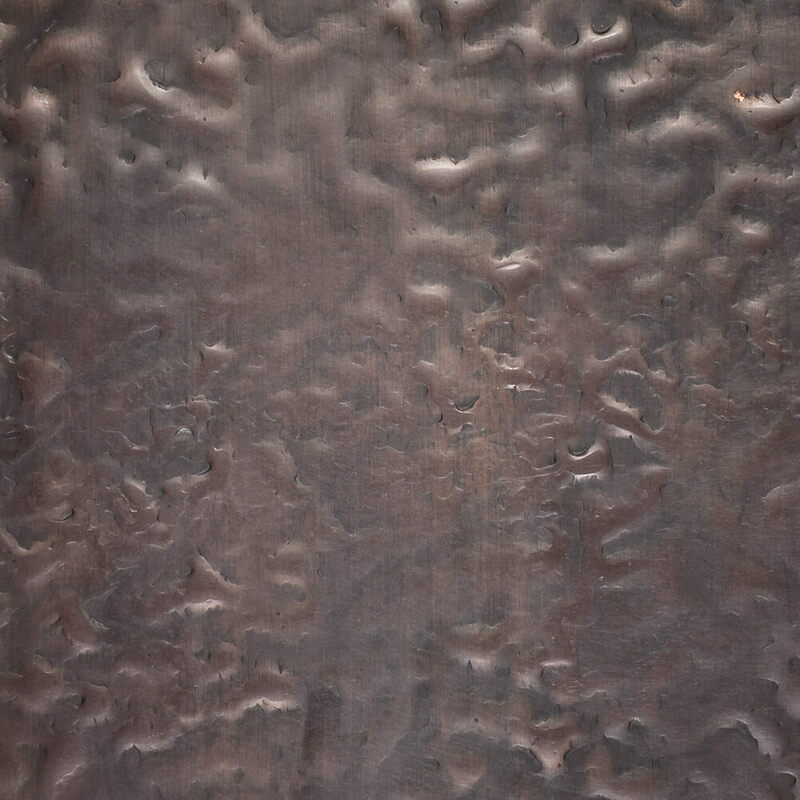 This copper sheet has a Medium Brown patina applied. 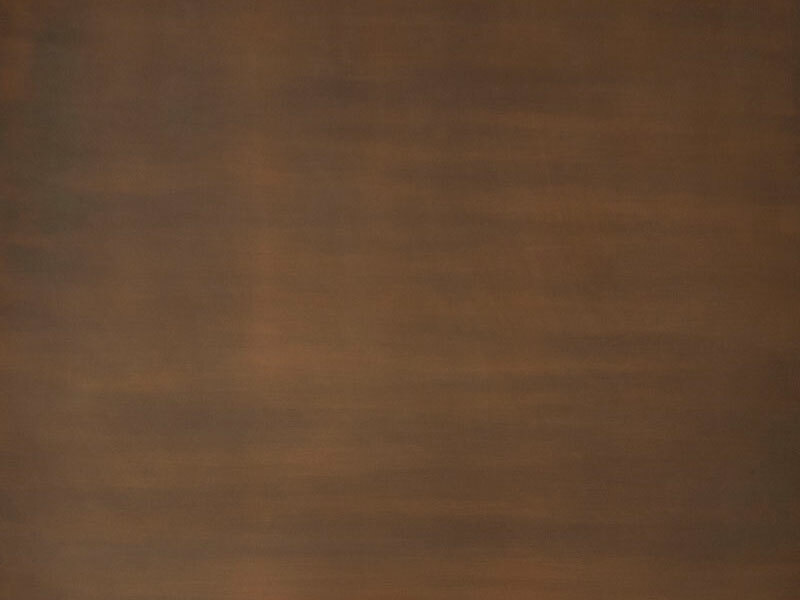 No lead, tin, or arsenic content is contained, made with pure American copper. 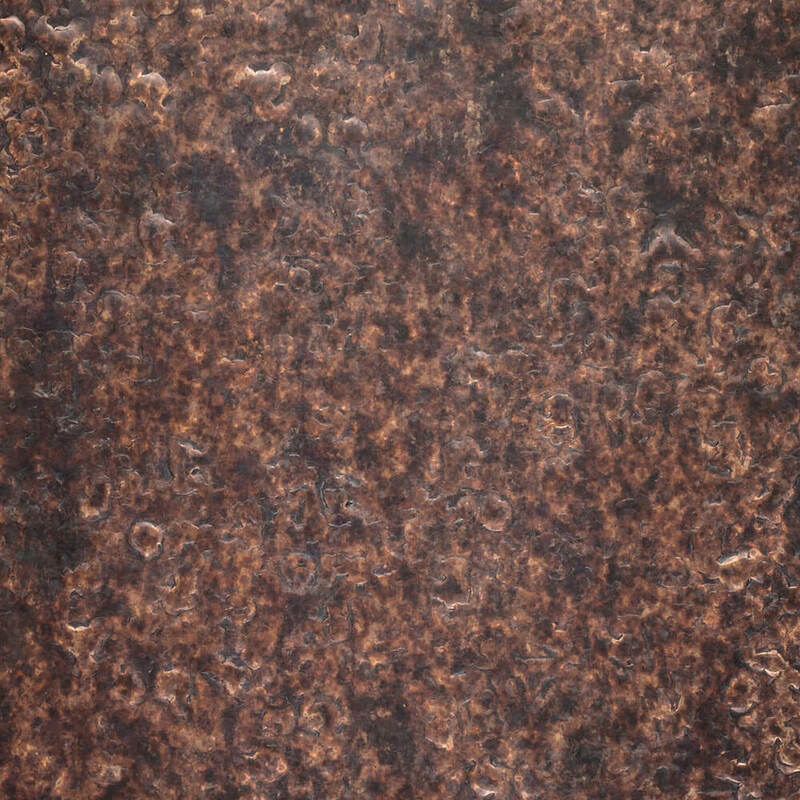 This copper backsplash has a hammered finish with a Medium Brown patina and comes in a flat sheet design. For custom sizing and pricing, call Circle City Copperworks at 317-284-0687. 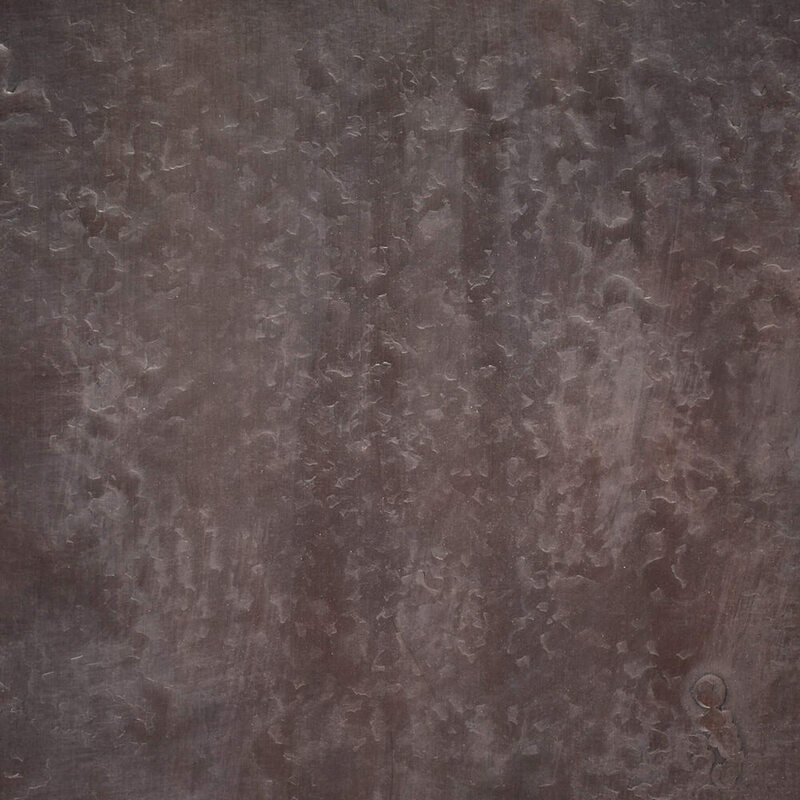 This copper sheet has a Medieval hammered finish with a Medium Brown patina and is made out of 20 oz. 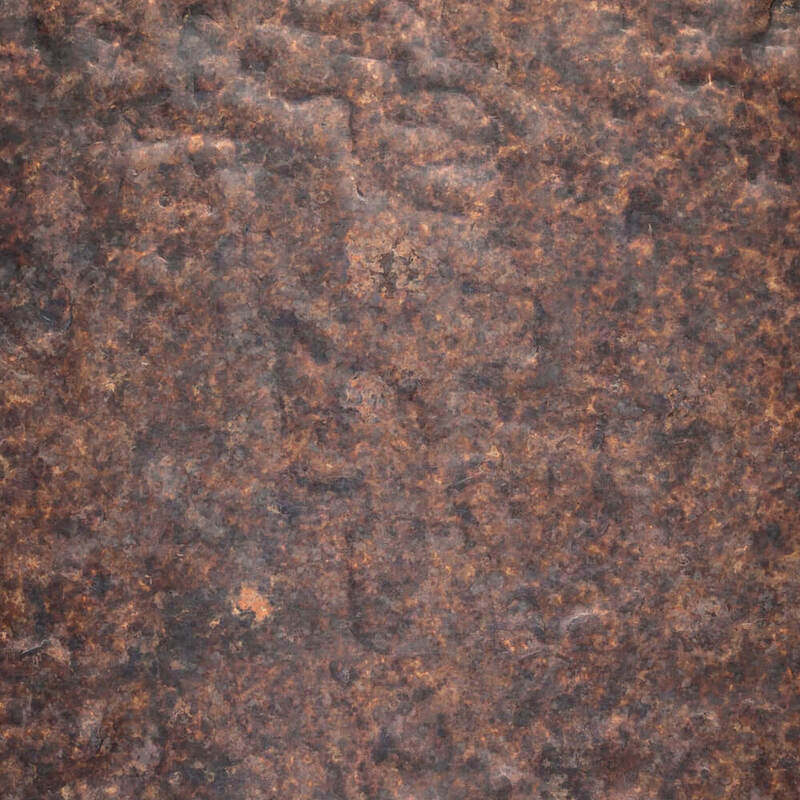 (.027 thick) copper. 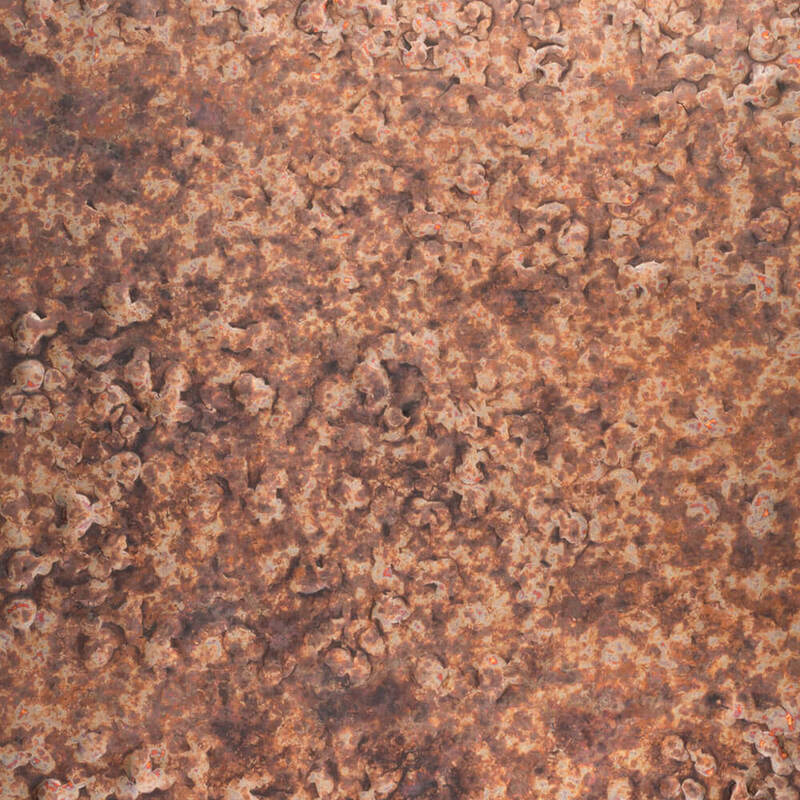 No lead, tin, or arsenic content is contained, like you will find in foreign copper products. For custom sizing and pricing, please call! This beautiful creation was hammered and cut to the client’s exact specifications, including cut outs for the window and electrical sockets. 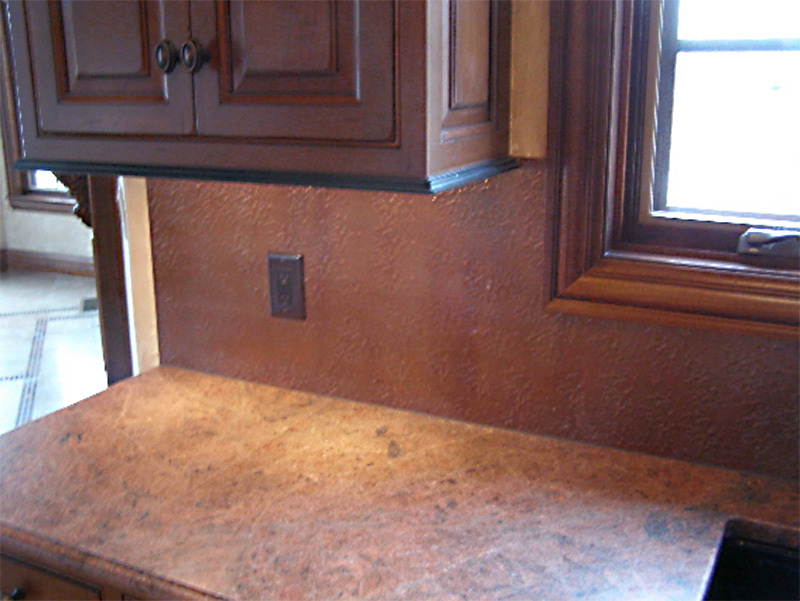 The installed copper backsplash pictured is of a Medium Brown Patina and made with 20 oz. 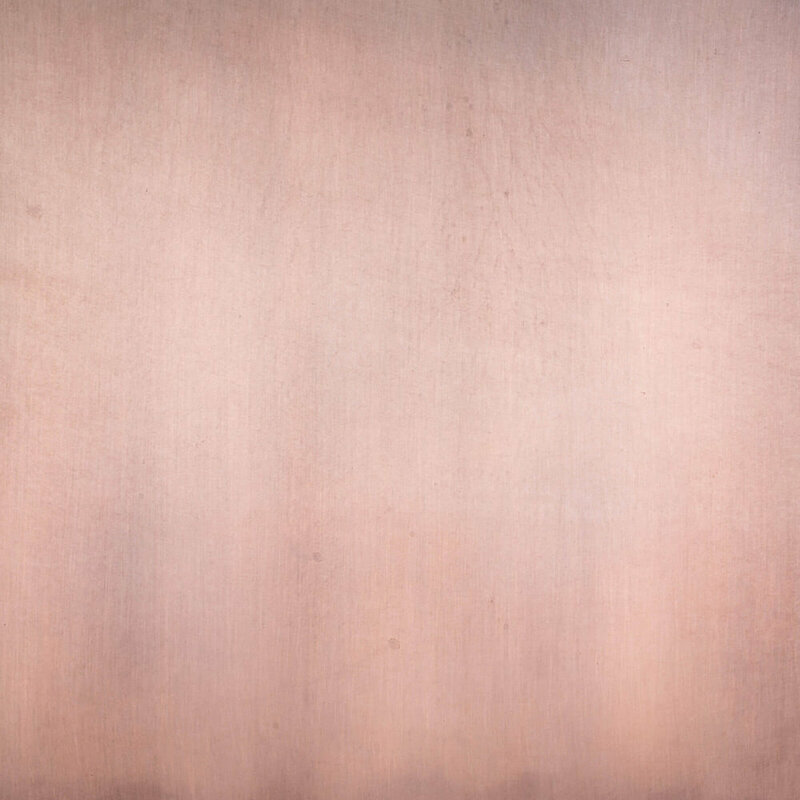 (.027 thick) pure American Copper. For custom sizing and pricing, please call Circle City Copperworks direct at 317-284-0687.